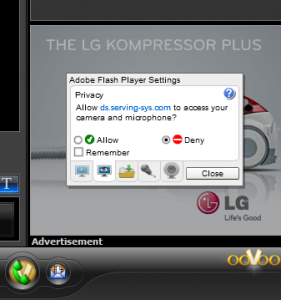 Blocking ads in ooVoo is a relatively simple process. There's a few steps involved, but there's nothing too complex. a) Click Start. Enter 'Notepad' in the search. b) Vista/7: Right-click on the Notepad icon and select 'Run As Administrator'. Other: Click the icon to 'Open'. c) In Notepad, click 'File', 'Open' and navigate to 'C:\windows\system32\drivers\etc'. d) Change the file-type to 'All Files (*.*)'. Select the 'hosts' file and and click 'Open'. The above entries block anything coming from those website domains. So basically, we are just creating a list of all the places ooVoo gets it's ads from, and blocking them. If you discover a new place ooVoo is getting ads from, you can simply add it to the list. 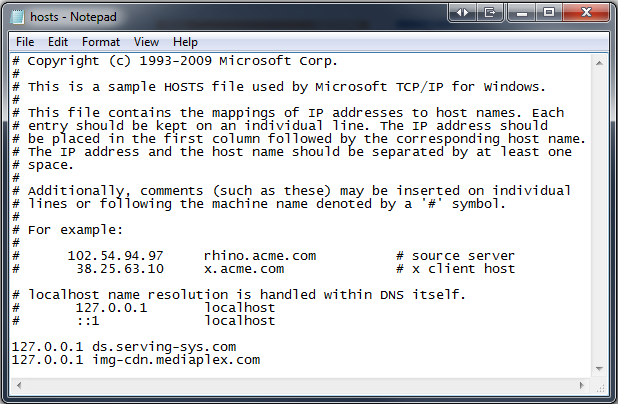 Alternatively you could use a comprehensive list of ad servers, such as the one found here. 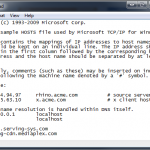 Note: changes to the hosts file are system-wide. So changes you make affect any application that accesses the web, not just ooVoo. a) Click Start. Enter 'Cmd' in the search. b) Click the icon to 'Open'. Windows will report the cache was successfully flushed. a) Click Start. Enter 'services.msc' in the search. c) Navigate to 'DNS Cache' in the list and right-click. 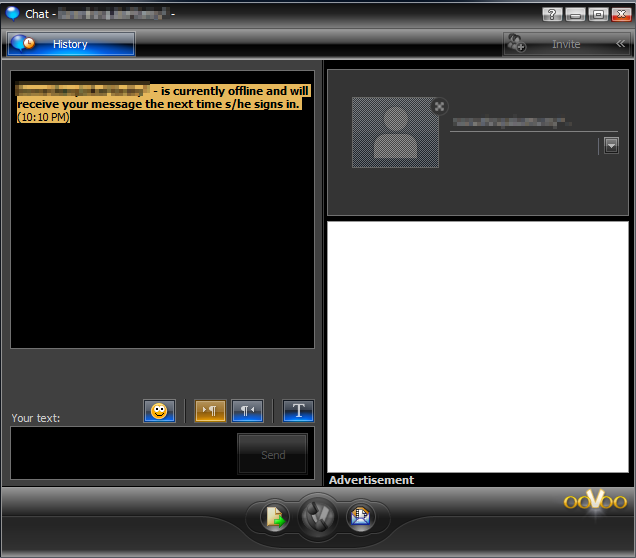 a) ooVoo ads should now be replaced with a blank white box. The ad will be one of the following two types. Identifying the source address is slightly different for each. a) HTML based - Right-click on the ad, there will be a 'Properties' option. Select it and take note of the Address (URL). b) Flash based - Right-click the ad, there will be a 'Settings' option. Select it and take note of the Address (URL) on the privacy tab.